1. Minor Children- In the event of a catastrophic accident making sure that your children are cared for in the event of you and your partners death is absolutely necessary. With some simple estate planning you can designate a guardian who would take care of your children in the event of a disaster. 2. Intestacy- New York has a default estate plan for you if you die without a will. This can possibly mean leaving money outright to an eighteen year old so they can spend it on a Corvette instead of College or having your estate pass to your Uncle George who you despise. 3. 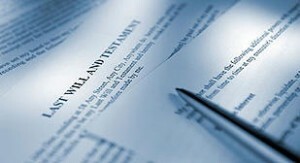 Guardianship- Besides a will, a power of attorney and health care proxy are necessary for your estate plan. If you do not have these documents and you become incapacitated a Guardianship proceeding may be brought for you and this proceeding can be very costly. 4. Protecting Beneficiaries- If you have a beneficiary who is receiving public benefits such as Medicaid, an inheritance might disqualify them from these public benefits. A supplemental needs trust can be created so that the beneficiary would not become disqualified from public benefits and this money could be used to supplement their care. 5. Reduce or Avoid Estate Tax- The use of disclaimer wills or trusts can reduce or completely avoid New York Estate tax. She wakes up next to you every morning, cuddles with you on the couch when you are having a bad day, and is the first to give you a kiss when you get home from work. I’m talking about Roxy, your golden retriever. 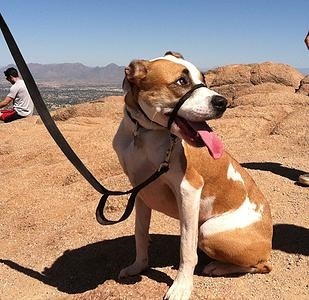 You think of Roxy as family and family should be provided for in your estate plan. How can I provide for my pet in my estate plan? Under the law of all 50 states, a pet owner cannot leave money to a pet directly. I think it is due to pets having trouble getting money out of the banks, even BarKlays (ba-dum-ch). One of the best ways to provide for your pet is by creating a pet trust. New York enacted E.P.T.L §7-8.1 to allow trusts to be created for your pet so that you have the peace of mind knowing that someone is taking care of Roxy when you become incapacitated or pass away. This trust can either be created during your lifetime or be created upon your passing in your will. The trust will be funded with a certain amount of money from your estate. In the trust you will appoint a trustee, a caregiver, possibly a successor trustee, and possibly a successor caregiver. 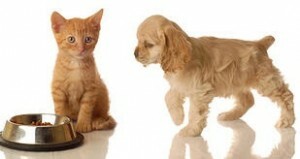 The trustee is the person who will oversee the money of the trust that will be used for your pet. The caregiver is the person who will take care of your pet. The trustee and caregiver can be the same person. The money in the trust will be used for the benefit of the pet during the pet’s lifetime. The trust can also specify that funds will go to the caregiver for their service to your pet. Upon the passing of your beloved pet, the trust will specify where the remaining funds will be distributed. So love your pets and make sure that they are provided for when you no longer can provide for them. If you live in Brooklyn or any of the surrounding boroughs feel free to give us a call at (718) 875-2191 or request a consultation.